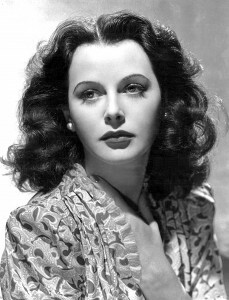 Hedy Lamarr, more well known for her acting during the MGM Golden Age, was also an inventor whose work became crucial in the wireless communications revolution. Like many other female inventors, Lamarr did not get much recognition for her innovations. She received a patent in 1941, but due to the Navy’s opposition, it was not until the 1962 Cuban Missile Crisis that her work was finally implemented. However, her invention became most significant during the modern digital communication revolution. Her frequency hopping theory now serves as a basis for Bluetooth and Wi-Fi connections. 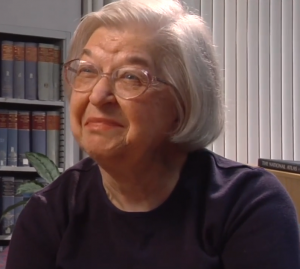 Stephanie Louise Kwolek was a chemist most well known for her invention of Kevlar, a family of exceptionally strong synthetic fibers. She obtained a degree in chemistry at Carnegie Mellon University and moved on to work at DuPont, an American chemical company. At DuPont, Kwolek worked in a field devoid of women and went 15 years without a promotion before her discovery. She found the unique fibers in 1964 when she was working to convert a solid polymer into a liquid solution. Kwolek was expecting a transparent, thick mixture but she was getting a thin, opaque liquid instead. Her colleagues doubted it would create a usable fiber, but despite them and her own uncertainty, she tested the solution and the resulting fiber was tested to be fire-resistant and five times as strong as steel of equal weight. Kevlar is now currently used in several modern products, like bulletproof vests, military helmets, fiber-optic cables, fire-resistant boots and mattresses, bomb-resistant buildings, and hurricane safe rooms. Kwolek’s invention has saved countless lives. After her retirement, she tutored students in chemistry and particularly encouraged young women to pursue the sciences. 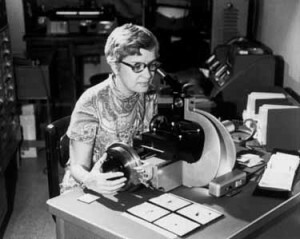 Even when Vera Rubin was accepted into Vassar, her physics teacher said, “That’s great. As long as you stay away from science, it should be okay.” Despite his discouragement, she would go on to earn a PhD at Georgetown in astronomy. She was the first to find that stars around the outer parts of galaxies still orbited at the same speed as that of stars near the center. Her findings confirmed Fritz Zwicky’s earlier hypothesis that there has to be dark matter in the universe that keeps their orbiting speed the same and also found that there was 10 times more dark matter than previously theorized. However, her male colleagues thought that her work contradicted Newtonian Laws, and despite irrefutable evidence, they dismissed both her doctoral and master’s thesis as a miscalculation. It was not until male colleagues validated her findings that her work was finally recognized by the scientific community. 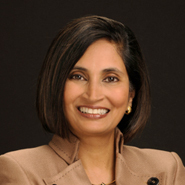 Padmasree Warrior is the Chief Technology and Strategy Officer of Cisco, the international leader in networking equipment. She received a bachelor’s of science in chemical engineering from the Indian Institute of Technology and went on to earn a master’s of science degree in chemical engineering from Cornell University. At Cisco, she leads the company by combining technology development and innovation with corporate strategy. When she first started working for Cisco, Warrior recalled that it was a “really daunting experience,” because there were few women and no source of female support. Now, she tries to empower women in technology by offering her mentorship and a space to receive advice and concerns. Hannah Chung is tackling large social problems with her passion in engineering and design. She has earned a degree in mechanical engineering at Northwestern University and co-founded Design for America, where students approach social issues with design and technology. With Aaron Horowitz, they founded Sproutel, a company focused on creating fun learning toys for children with chronic illnesses. As the Chief Creative Officer, Chung’s responsibilities include design and user interaction, as well as the medical curriculum and customer relationships. 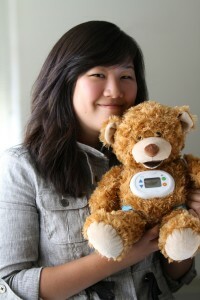 Chung and Horowitz first created Jerry the Bear, a toy and educational tool to help children with Type I diabetes learn to manage their treatment by practicing on Jerry first. Next, she wants to develop something new for managing asthma.